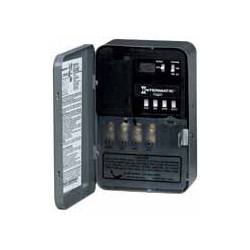 Upgrading to an electronic time switch has never been easier than now with the new ET1100 Series. Features include; Automatic Daylight Saving Time adjustment, multi-volt operation from 120 to 277 VAC, and to-the-minute programming for accurate load control and reduced energy costs. Up to 28 set points or events (14 ON/14 OFF per channel) can be preset to automatically repeat on a daily basis. The program can be overridden at any time. 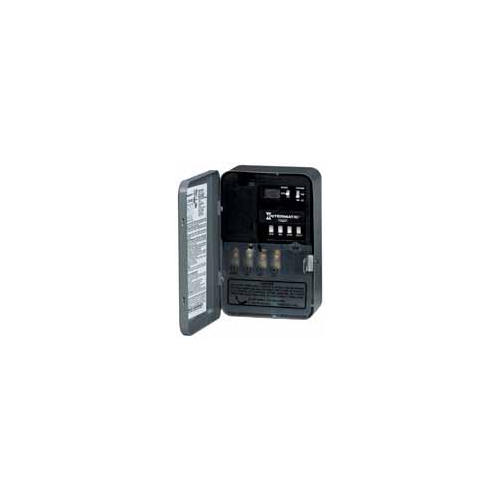 Two industrial grade “AAA” Alkaline batteries provide 3 years minimum program and timing protection. Rated up to 30A. NEMA1 Case.